Washing your used dishes, wiping down shared counter space, and vacuuming are regular maintenance tasks, frequently tended to in an office setting. Plenty of other every day cleaning tasks like these are religiously taken care of, but what spots are we missing? There are TONS of areas in office spaces that have been neglected for too long. Dirt, germs, and grime gradually build-up on them, lowering your staff’s quality of health, your office’s standards, and perhaps most importantly, your customer’s comfort. Let’s take a look at the top 8 most neglected parts of your office and why you should prioritize cleaning them! 1. Areas Behind Large Machinery and the Machinery Itself. Let’s be honest, unless specified your staff is not going to move a 300+ pound machine to clean behind it. Things like dust and dirt can build up behind these machines creating a need for them to be moved and the space around them cleaned periodically. Don’t forget about the machines themselves, regular dusting and cleaning of office machinery like printers and copiers will heighten the quality of your prints. Using a microfiber cloth and liquid glass cleaner you can keep the glass in your copier streak free and clean to produce the best quality copies. The microwave gets daily use and should be cleaned weekly. This is also one of the most difficult areas to get staff to clean. Creating a rotating, cleaning schedule each week can help resolve any conflict between the staff about who doesn’t cover their spaghetti when they reheat it! Did you know the outside of the microwave is often forgotten in office cleaning as well? A study by the University of Arizona determined the dirtiest places in an office are the microwave door handle and the sink. Another appliance that is often neglected in an office setting is the coffee maker. Make sure to use a descaling agent to remove limescale build up from the coffee maker and tea kettle in the office. The build-up of dead bugs and dust can not only disgust your workers and customers but, if neglected, can also lead to dimmer lights in your office. If your employees are struggling to work in poorly lit areas because of the layers of dust in your light fixtures…it has been too long since you’ve cleaned them. The best way to clean light fixtures is to first turn off the power to the lights. Second, dust off anything on the outside of the light fixture and then remove the cover. Next, clean the light cover inside and out. Use an all-purpose cleaner to treat persistent buildup of debris. Last replace the cover and enjoy the bright light! Don’t forget your curtains and blinds, they need to be cleaned and dusted just as much as the windows and window sills they cover. There are a few ways to clean curtains; vacuuming, steam cleaning, or sending them out to be dry cleaned. Your blinds can be dusted regularly with a feather duster or vacuumed. Vinyl and aluminum blinds can also be soaked in a dish soap if they are in need of a deeper clean. When was the last time you even thought about cleaning your furniture that wasn’t obviously stained or dirty? Even if you can’t see it - the germs, dust, and mites could be invading your furniture. A few reasons to get your upholstery and furniture cleaned regularly are it looks more professional; reduces allergens from dust mites, mold, and mildew build up; reduces the chances of mold and mildew breading in the cushions beneath the upholstery; and extends the life of the furniture. 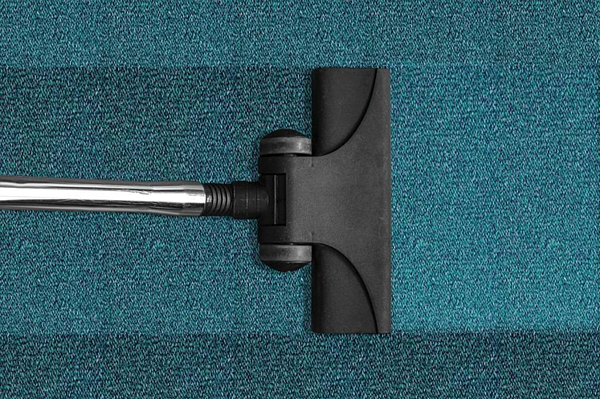 Make sure to add “get all upholstery and office furniture cleaned” to your spring-cleaning list. Out of sight – out of mind, right? Wrong, to assure the best quality of air and health for your office and staff, you need to get to have your ducts and vents cleaned at least yearly. The best way to clean out your A/C air ducts before the summer is to first make sure the air is off. Then, vacuum all vents and baseboards. Next, remove all vent covers and clean them with dish soap and a sponge. After that you will want to dust as far as you can reach and use the vacuum hose, with an extension if possible, to suction out as much dirt, dust, and build up as possible. Then to finish, replace the vent covers. Telephones, light switches, refrigerator doors, doorknobs, keyboards, and desks are huge causes of germ transferring in an office and that is the last thing you want! If you aren’t conscious of this, you will end up walking into an empty office one morning because your entire staff caught the flu from each other when they all touched the same light switch in the bathroom the day before. The University of Arizona did a study that shows the average work desk is about seven times more dirty than a toilet seat. Make sure to wipe down your desk, keyboard, and mouse a few times a week to keep your staff safe and secure! Telephones can spread germs very quickly, they have about 25,000 bacteria on the mouth and ear sections. Instate a rule of sanitizing the phones at the end of each shift to avoid mass illness among your staff, especially if you’re in an industry that rotates desk usage. 77% of workers say they come to work sick, making the things touched most in the office germ-prone like doorknobs, light switches, refrigerator doors, etc. There are four different types of disinfectants that you can purchase to sanitize these germ and bacteria-infested surfaces. These are aerosol, ready to use, concentrate and wipes. Chances are if you walked down the hall of your office and run your hand across the wall it would be dirty. Most people forget that walls need to be cleaned, they collect dust, fingerprints, stains, marks, and more. Make sure to sweep, dust, and vacuum you walls and ceilings frequently. To remove stains, marks, and fingerprints from your walls use a gentle detergent and a nonabrasive sponge. Now that you know the 8 most neglected spots in office cleaning and a few tricks on getting them done right, you are ready to make sure your office is cleaner than ever. These tasks cannot be done without proper cleaning supplies. For the best supplies and the most helpful staff in the business, contact Action Unlimited Resources for all of your office cleaning supply needs.